Mid and East Antrim Borough Council is playing its part to ensure local future sports stars have the financial support they need to achieve their goals. 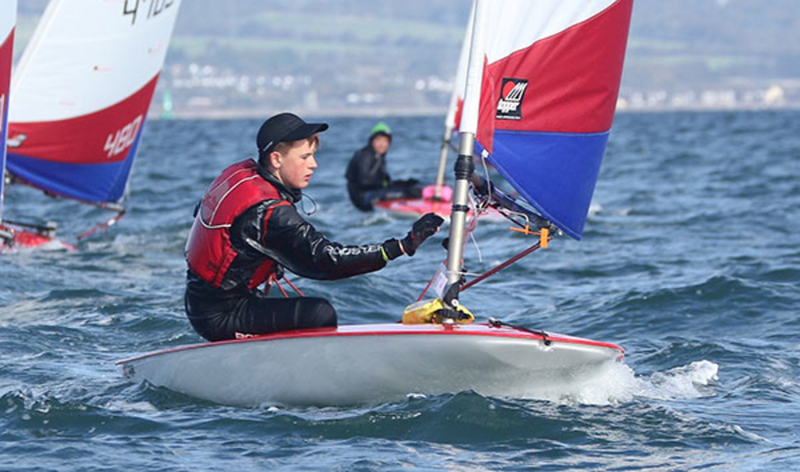 One worthy recipient is Tom Coulter, from Ballymena, who has been awarded funding through the Youth Ambassador scheme which will enable him to further his talent in sailing. The 13-year-old, who attends Ballymena Academy, has been selected to represent Northern Ireland at the Topper World Championships in the Netherlands in July. He will also be competing for NI in the Eric Twiname National Championships in England in May, so the funding will go a long way in helping him to prepare. Tom’s mother, Juliet Coulter, said: “I am very proud of what Tom has achieved so far considering he is only in his second season sailing. A Council spokesperson, said: “We are keen to support rising sports stars in the Borough and hope these awards can help with some of the costs that come with competing at a higher level. For more information on Council grants visit our Grants page.